Metal Gear Solid 5: The Phantom Pain reportedly expects a little more moolah before it’ll open certain online services. GameSpot has reported that Konami have confirmed that F.O.B. mode will be “fully accessible at launch and the microtransaction layer to that specific feature in the game primarily acts as an accelerator.” The MB coins can also be earned in game so there’s no need to start reaching into your pockets unless you want a kick start. More details will be forthcoming at launch. Returning to the whole Metal Gear Solid 5: The Phantom Pain has microtransactions scandal for a moment, it looks like they may be more prominent than we had believed. It seems that players can utilise microtransactions to purchase resources for use in constructing bases. Building bases is the core gameplay at the heart of Forward Operating Base or FOB, an optional mode Konami has described as an MMO. According to Gamespot, you can’t even acecss this mode without first making a payment – you need MB Coins, purchased with real money, to unlock space with which to build new bases in FOB. The site pointed out that Metal Gear Solid 5: The Phantom Pain’s online services are not yet active, so it wasn’t able to investigate fully. 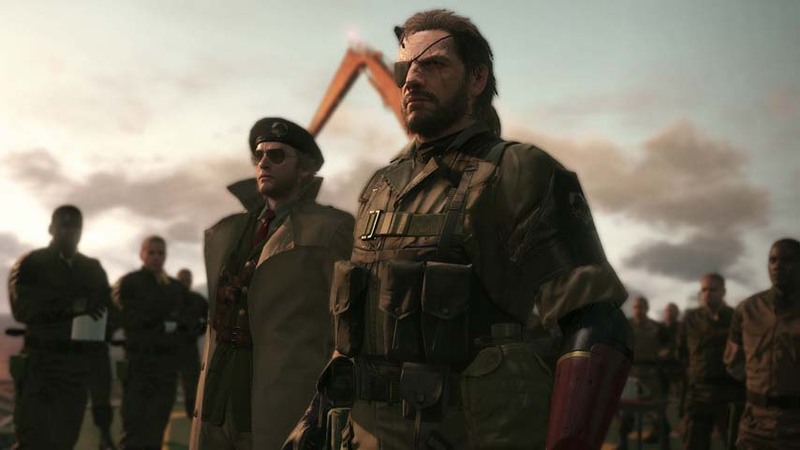 A Konami representative didn’t have any “official details” to share as they are “still being solidified”. So let’s wait for an update before we start writing angry rants, or whatever. It’s important to note that Forward Operating Base is a totally optional base-building mode with some competitive multiplayer features, as opposed to the game’s full competitive multiplayer suite. For traditional multiplayer action you’ll wanna check out Metal Gear Online, which launches on consoles on October 6 and PC in early 2016. Since it’s not available in review builds, there have as yet been no comments on whether and how MGO leverages microtransactions. Reviews of Metal Gear Solid 5: The Phantom Pain have been hugely enthusiastic. It arrives on PC, PlayStation 3, PS4, Xbox 360 and Xbox One on September 1.